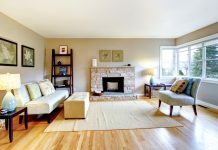 When the 4th of July comes all patriotic people would like to change something about their home to celebrate. 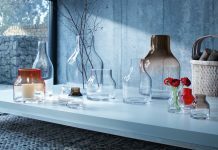 Although there are a lot of different kinds of decorations that you can buy in stores most probably these are pretty expensive and so you better look for smarter but cheaper solutions. As an idea for decorations you could get some mailing tubes. 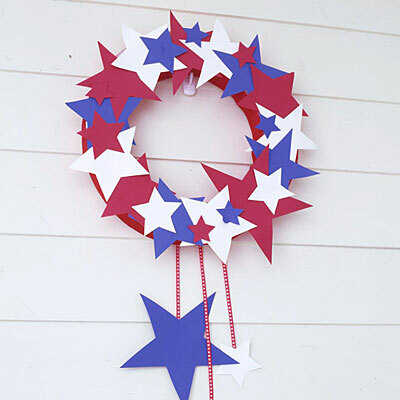 Decorate these with red, white and blue paper and stars. In order to give them the appearance of firecrackers, you could add to their top sparkly decorations for the ultimate effect. You could also use candy in red, white and blue colors for the right effect. For sure you can find professionally made banners for this occasion, but you could also create your own. 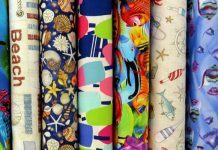 All you need is some fabric in the right colors. Attach them to a string and display it on your home. The fabric could be in only one color, but it could also come with stars. If you expect to have some guests for the celebration, you could welcome them with an eye-catching wreath on your door. Naturally this should have red, white and blue colors. There are a lot of materials that you could use for it, but in the majority of the cases people opt for paper. One of the best ideas that you could use for this occasion is to get the children involved in the preparations. They could help you make pinwheels of paper and you could also allow them to decorate the house with the pinwheels. Make some paper lanterns and hang them on your patio. All you need is craft paper and string lights. Decorate the lanterns with star punches and decorative scissors. Attach handles to the lanterns and add to them string lights. You can hang the lanterns on the porch railings, dangle them from the edge of the buffet table or wrap them around the porch column. If you are into natural decorations, get some daisies and display them in simple buckets. 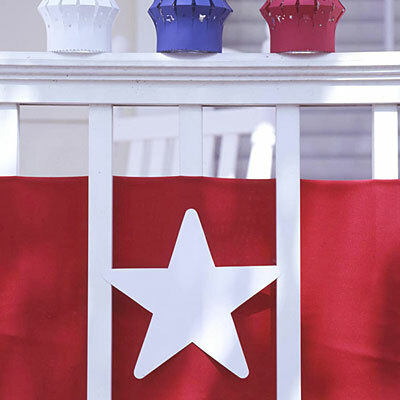 In order to make the decoration even more interesting, you can glue some stars to the sides of the buckets. 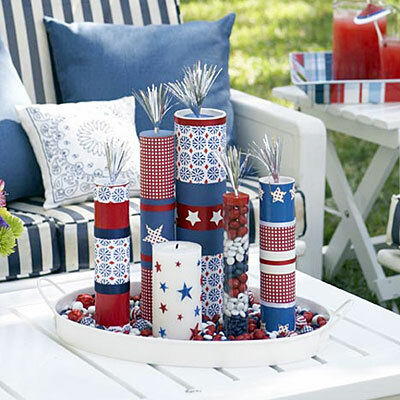 There are a lot of ideas that you can use, but the main point is to use the right colors: red, white and blue. This way you can be sure that you won’t go wrong with the decorations.